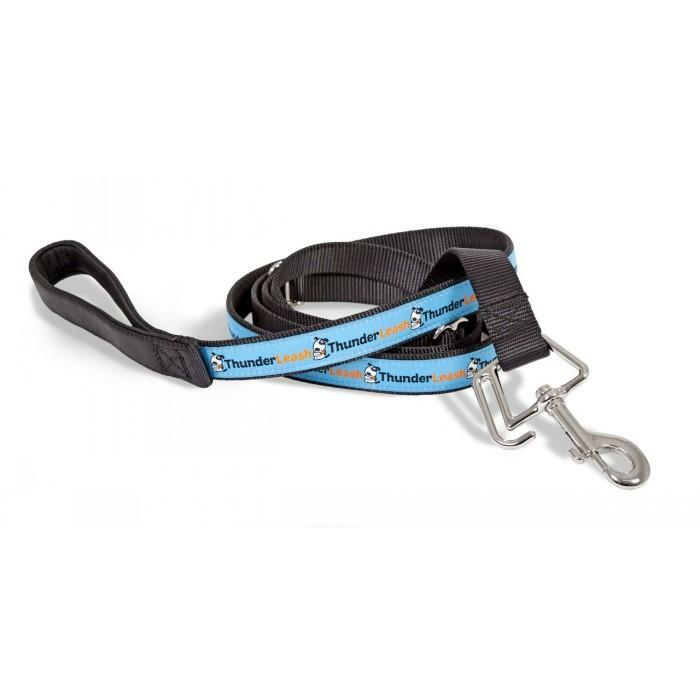 The Thunderleash stops your dog's pulling in an easy to use, comfortable way. 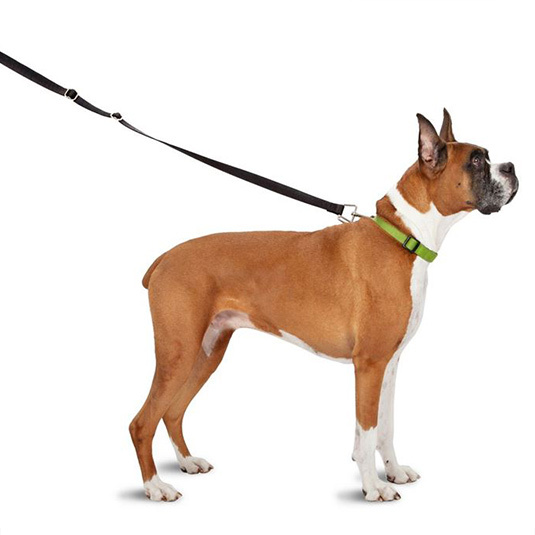 Turn your standard leash into a “no-pull” harness simply and easily. Just connect the Thunderleash to your dog’s collar and it will apply gentle pressure on your dog’s torso when pulling occurs. This gentle pressure stops your dog from pulling. Make walking your dog hassle free and enjoyable. Many no pull harnesses can be confusing and complex to put on. The Thunderleash provides the most simple solution to pulling. 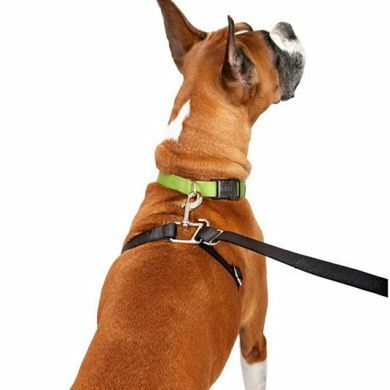 You can connect the Thunderleash to your dog’s collar, just like any other leash, when your dog is behaving well. When your dog is having pulling issues just wrap the Thunderleash around your dog’s torso and slide it through the harness slot. 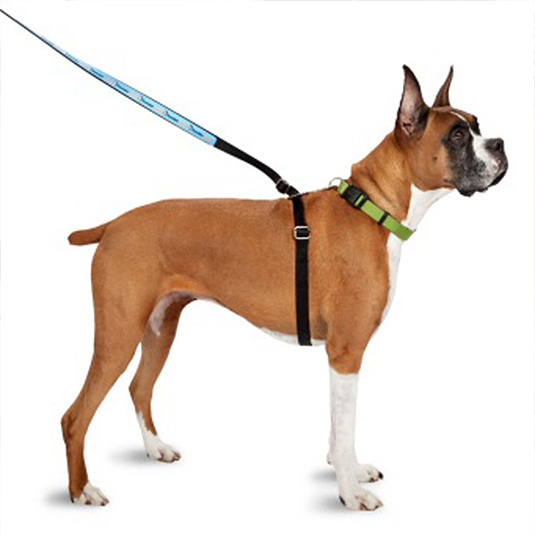 In this position the leash will apply a mild pressure to your dog’s torso whenever pulling occurs. And PRESTO! Pulling should be a thing of the past. Follow the “Initial Fitting Instructions” to get the ThunderLeash adjusted to properly fit your dog in the “no pull” harness configuration. 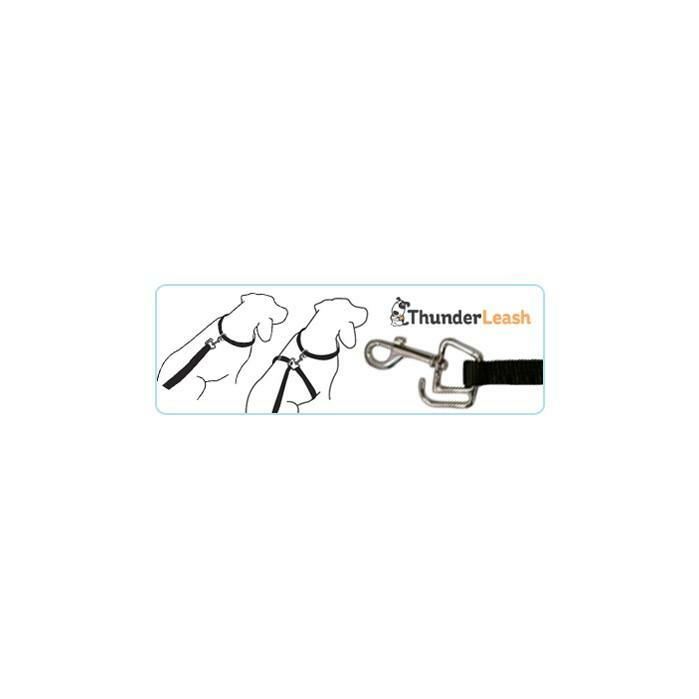 When you do not need the added control, you may use the ThunderLeash just as you would your standard leash simply by clipping it to your dog’s collar. When a situation arises where you need added control, switch to using the “no pull” harness configuration of the ThunderLeash. Wow we used the Thunderleash on my partner's dog when introducing her to my 2 small dogs; she is a bull arab. She was so much calmer and more settled. I have a bad back and I was able to walk her around the yard and hold her without difficulty. It means I can also control her when we are camping. Read 8 customer reviews of Thunderworks ThunderLeash. The average customer rating is 4.5. This leash worked straight away with stopping my dog from pulling. We are currently under going rehabilitation after a knee operation and this helps with restraining his urge to pull and put too much pressure on the newly healing knee joint. Great product which allows control of our seven month old German Shepard pup. This is an awesome leash,I have a Maremma who is very scared and this leash gives me peach of mind knowing she can't get loose. OMG THANK YOU!! My order arrived I only found your webpage yesterday.. Postie dropped off new thunderlead and we hit the road right away. LOVE it. few minor adjustments at the start but for the first time in the 3 years we had Sally the wonder dog she walked with me (insert tears of joy).. All the dog lessons and all the pain from shoulder and hands I see a light at the end of a very long tunnel. Not perfect but HUGE improvement on first walk. I didn't end up getting pulled as far as usual when we go past the ducks. I can correct Sally in a safe way and the lead worked without causing her pain or me pain. So very happy I stumbled onto your website.. Just uploaded message to my Face book page about our walk. So will I tell people about the thunderlead You better believe it. Things will only get better. Thank you for such fast delivery and easy website. Robyn and Sally the wonder dog.